Refurbished Apple MacBook Pro 13.3 inch MB991B/A Core 2 Duo 2.53GHz 4GB 250GB 10.11 El Capitan. This MacBook has been professionally reinstalled with the latest OS X El Capitan 10.11 and is ready to use straight out of the box. 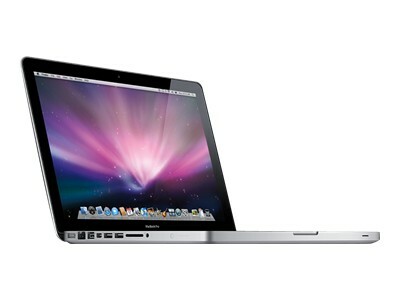 A brilliant piece of innovation: That is what the Apple MacBook Pro MB991B/A Notebook can be termed as. 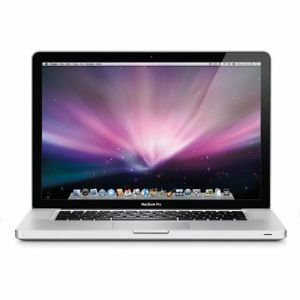 This Apple notebook sports a 13.1" display with a resolution of 1280 x 800 that produces superior picture quality. With Core 2 Duo 2.53 GHz processor and 4GB RAM installed, stay assured to get maximum performance from this Apple Mac laptop. This Apple notebook has an outstanding battery life of 7 hours. Furthermore, the Apple Mac laptop also sports an integrated video camera for video conferencing. The Kensington Lock Slot ensures that your Apple MacBook Pro MB991B/A is completely secured from unauthorized access. The Apple MacBook Pro MB991B/A notebook is bound to surpass your expectations thanks to its splendid form factor, innovative design and industry-first features. Grade A - Excellent Condition, works perfectly with a only the slightest marks and scratches.